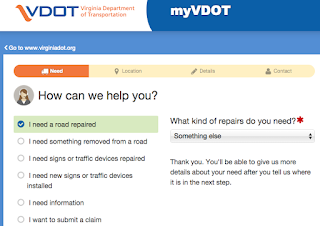 VDOT recently updated their Hot Line report form. 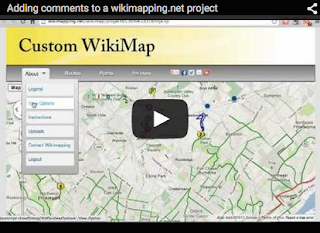 It allows easier identification of a road or trail problem in an updated interface. We just used it to report a tree that is blocking the trail along Sunrise Valley Dr. That trail is part of the suggested detour for when the W&OD Trail will be closed on Sunday July 5. A tree fell into the roadway. We assume that a VDOT crew was called to clear the road. What they neglected to do was cut the tree back far enough to also clear the trail. It's difficult to imagine how the workers could justify leaving the large tree blocking the trail. We're hoping it's cleared soon. They could add "I need to report a road/trail/sidewalk repaired." and "I need something removed from a road/trail/sidewalk." New bike lanes will soon be striped on Kingstowne Village Parkway as part of VDOT's summer repaving schedule. Thanks to everyone who supported the project and thanks to VDOT for using this opportunity to create dedicated space for cyclists while making the road safer for everyone, at no additional cost. See our earlier coverage of meetings to discuss this project. 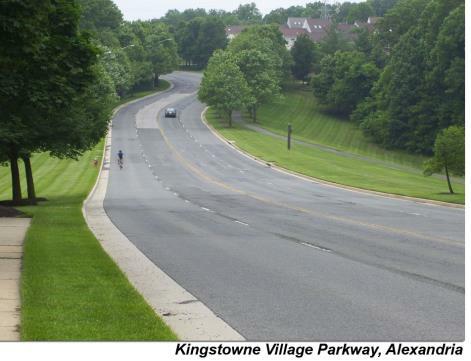 ALEXANDRIA—The Virginia Department of Transportation will begin paving the entire three-mile length of Kingstowne Village Parkway, from South Van Dorn Street to Beulah Street, on July 7, weather permitting. Drivers can expect daytime lane closures 9 a.m. to 3 p.m., Monday through Friday. The work is expected to take about five weeks to complete. During the repaving and restriping, crews will add a bicycle lane in each direction in place of one travel lane between Hayfield Road and Beulah Street. This “road diet” practice has been used successfully on several roads in northern Virginia, where in certain locations elements such as left-turn lanes and bicycle lanes can replace travel lanes to help reduce speeding, improve mobility for cyclists, and increase safety for all users. Kingstowne Village Parkway is one of about 20 road segments receiving bicycle enhancements during this year’s surfacing and restriping. VDOT’s traffic engineers partnered with county staff to identify segments that were scheduled for paving and would be ideal for improvements such as road diets, bike lanes and sharrows. See more details. See a complete list of this year’s planned enhancements. This work is part of VDOT Northern Virginia’s $168 million paving program this year. As part of the World Police & Fire Games the W&OD Trail will be closed for an hour on Sunday, July 5 from 7-8am. The trail is being used for holding the half marathon race (the website has very little info about the race). See the press release below for more details. The suggested alternate routes for trail users, Sunset Hills Road, Wiehle Ave, and Sunrise Valley Drive are not particularly bike-friendly. There is only a concrete sidewalk along Sunset Hills Road. Experienced cyclists will likely choose to ride in the road although traffic can be fast and drivers aggressive. The trail along Wiehle Ave is OK, and there is a poorly maintained trail along Sunrise Valley Drive. Best to either avoid the area during that time, or plan to watch the race. The W&OD Trail will be closed between Old Reston Avenue and Sunrise Valley Drive (Mile Markers 18 and 16) on Sunday, July 5th between the hours of 7 AM and 8 AM. This closure is to accommodate the World Police & Fire Games Half Marathon that is being held in Fairfax County. There will be approximately 360 participants for the half marathon and we anticipate minimal impacts during the one hour closure. Fairfax County Police and event staff will direct trail users to alternate routes (like Sunset Hills Road to Wiehle Avenue to Sunrise Valley Drive) but please plan accordingly should you be in the area on that day and time. We encourage our trail patrons to use this chance to cheer on the athletes during these Games. The World Police & Fire Games are a spectacular international sporting event held every two years; offering 12,000 professional public safety employees from 70 countries an opportunity to showcase their athletic skills in over 60 sporting events being held here in the Washington, D.C. metropolitan area. For more information on the World Police & Fire Games please go to www.fairfax2015.com on event schedules and locations. Please feel free to contact the W&OD Trail office at (703) 729-0596 or via email at wod@nvrpa.org if you have further questions on the trail closure. 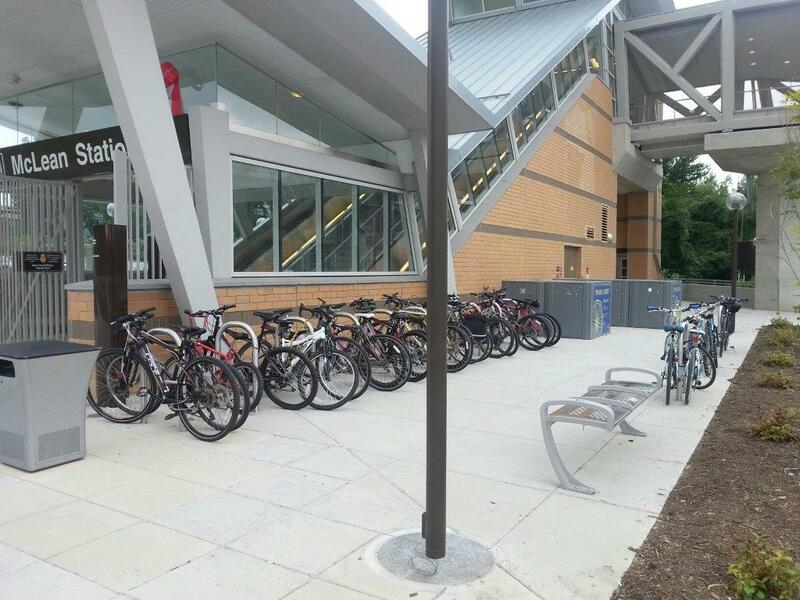 The Washington Metropolitan Area Transit Authority (Metro) recently announced that Bike & Ride facilities are coming to East Falls Church and Vienna stations. By the end of this year, riders to these two metro stations will have a more secure way to store their bikes. 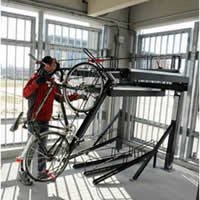 Each new facility will include capacity for up to 100 bikes, docking space for oversized bikes, enclosed space out of the weather, security features, including steel mesh walls, cameras and lighting, and emergency egress door, phone and intercom. The East Falls Church facility is being constructed on the edge of the Kiss and Ride lot and the Vienna facility will be located within the existing north parking garage. For more information about these projects, visit wmata.com/bikeandride or call 202-637-7000. 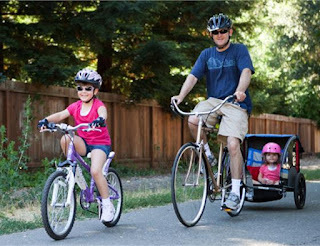 FABB’s friends at Kidical Mass Arlington are celebrating Dads, kids and summer with a ride this Sunday, June 21st. 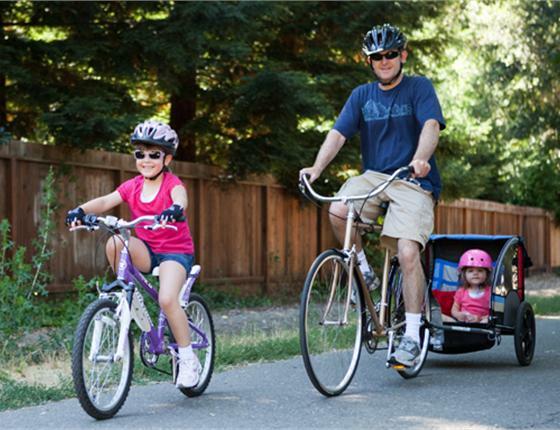 If you’re not familiar with the term, a kidical mass is a casual family bike ride that is slow paced, conducted on quiet streets and trails, and generally very easy. The ride this Sunday starts at 5:15pm at Rosslyn Highlands Park and ends at Heavy Seas Alehouse, where those who wish can join the group for dinner. The Board of Supervisors adopted Fairfax County's first ever Bicycle Master Plan Plan on October 28, 2014. The Bicycle Master Plan lays out the long term vision for adding bicycle facilties throughout Fairfax County.The Bike Fairfax Wikimapping Project provides commuters and leisure bicyclist the opportunity to help prioritize future bicycle improvement projects. Specifically, we are reaching out to bicyclist to show us what routes are being used to get to Metrorail and Virginia Railway Express (VRE) stations in Fairfax County today. This information will help guide the decision making process on future bicycle infrastructure improvements including wayfinding signage and bike lanes. The interactive map is open to the public to post their routes and provide feedback until June 30, 2015. Community Meeting on Franconia Road Bicycle Improvements June 15! Join us on June 15, 2015, at 7 p.m., to learn about the proposed bicycle improvements to the Franconia Road are. The meeting will be held at Edison High School, 5801 Franconia Rd., Alexandria, and will focus on the proposed addition of bicycle facilities to Franconia Road between South Van Dorn Street and Craft Road. The meeting will include a brief presentation and an opportunity for questions. There will be graphics of the proposed redesign available for those in attendance to view and discuss. The Virginia Department of Transportation is repaving a section of Franconia Road and is reviewing the segment for the addition of bicycle facilities, as called for in the Fairfax County Bicycle Master Plan. The proposal would implement a "lane diet," which involves narrowing the existing lanes and using the extra space for new bicycle facilities. If you have any questions about the meeting or the proposed improvements, please contact Adam Lind, Fairfax County Bicycle Program, at 703-877-5783. VDOT is holding a two-day workshop on June 23 & 24 from 6:30-8:30pm at Marshall HS to refine plans for a trail along Route 123 at the Beltway. VDOT is currently planning a multiuse trail along Route 123 that would cross several Beltway high speed exit/entrance ramps. FABB met with VDOT engineers in the field and discussed safer options for cyclists such as grade-separated ramp crossings (bridges or tunnels similar to those planned for Route 7 at the Dulles Toll Road). 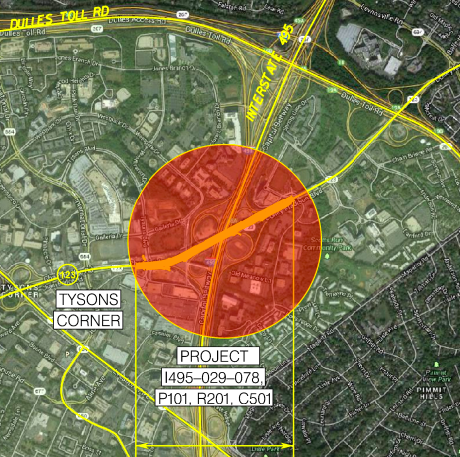 VDOT is to be commended for reaching out to the bicycle and pedestrian communities to try to design a safe bike/ped facility along this critical connection between McLean and Tysons. This is a great opportunity for cyclists to work with VDOT engineers to find the best solution. Please consider attending one or both of these meetings. See our earlier coverage of the Route 123 project meeting last summer. See also comments received by VDOT about the project (below the Idylwood Road project comments). Join us on June 23 and 24, from 6:30 to 8:30 p.m. for a two-evening design workshop focused on the planned bicycle and pedestrian facility in Tysons for Route 123 at the Capital Beltway (I-495). Workshops will be held in the Marshall High School Cafeteria (address below). The Virginia Department of Transportation (VDOT) and Fairfax County look forward to your participation in helping to identify the preferred approach to serving bicycles and pedestrians along Route 123 at the Capital Beltway. On June 23, the planning team will work with you to develop bicycle and pedestrian facility concepts for Route 123 through the interchange. On June 24, the planning team will review refined concepts with you and seek your input on a preferred approach. Join us both evenings. We look forward to your good ideas and hope you’ll come ready to roll up your sleeves. VDOT ensures nondiscrimination and equal employment in all programs and activities in accordance with Title VI and Title VII of the Civil Rights Act of 1964. If you need more information or special assistance for persons with disabilities or limited English proficiency, contact VDOT's Civil Rights Division at 800-367-7623 or TTY/TDD 711. For other inquiries, please contact: Paul Nishimoto at (703) 259-2362 (Paul.Nishimoto@vdot.virginia.gov) or Michelle Holland (Michelle.Holland@vdot.virginia.gov) at (703) 259-3378. On Monday June 8 Fairfax County is holding an open house on the latest development activity in Tysons, including bike projects that are part of the Route 7 widening project, Jones Branch Connector Bridge, access to the Silver Line stations, and others. Cyclists are encouraged to attend to learn more about these projects and support safe, convenient bike access in and through Tysons. On Monday, June 8, from 7 to 9 p.m., the public is invited to attend an open house about Tysons. The event will take place at Freedom Hill Elementary School, 1945 Lord Fairfax Road, Tysons. Attendees will learn more about proposed development activity, ongoing transportation and transit improvements, potential comprehensive plan changes, and park and public facility plans for Tysons. County staff and developers who have redevelopment proposals will be on hand to answer questions. To encourage one-on-one discussion, the open house will feature table displays where attendees can learn more about specific topics. No formal presentations will be made, although open house participants will be officially introduced at 7:30 p.m. In addition to the parks outreach and development proposals, the topics below are expected to be covered during the open house, with more to be added. For more information or reasonable ADA accommodations, contact the Fairfax County Office of Community Revitalization by email or at 703-324-9300, TTY 711. Franconia Road near the Van Dorn Metro station is an important bicycle connection for cyclists in the Franconia-Huntington area. VDOT is planning to repave the road between Van Dorn St and Craft Road. There are currently no dedicated bike facilities along this section of the road. Now is your chance to speak out in support of adding bike lanes as part of this repaving project. June 15, 2015. 7:00-8:30 PM. Edison High School, 5801 Franconia Road, Alexandria, VA 22310. This meeting is being held to discuss the proposed addition of bicycle facilities to Franconia Road between South Van Dorn Street and Craft Road. The Virginia Department of Transporation is repaving a section of Franconia Road and in partnership with the County is reviewing the segment for the addition of bicycle facilites, as called for on the Bicycle Master Plan. The proposal would implement a "lane diet," which involves narrowing the existing lanes and using the extra space for bicycle facilities. The meeting will include a brief presentation and a Q&A session. There will be graphics of the poroposed redesign available for those in attendence to view and discuss If you have any questions, please contact Adam Lind at 703-877-5783. The City seeks additional community participation in the creation of a conceptual plan for Old Lee Highway - and will hold its second public outreach meeting at 7 p.m. June 4 at the Stacy C. Sherwood Community Center, 3740 Old Lee Highway. At this meeting, the City will present conceptual alternatives for public review and comment. The alternatives are being developed based on the feedback received at the first public meeting in March. The final result will be a refined conceptual plan for Old Lee Highway, which City Council may use should it choose to consider alternatives for Old Lee Highway. If you are unable to attend the meeting and would like to review the alternatives, please visit our website between June 5 and June 19 or contact Wendy.Sanford@Fairfaxva.gov.